Marcela Montoya Remodeling provides high-end specialty design and home improvement services throughout the community of West Palm Beach. 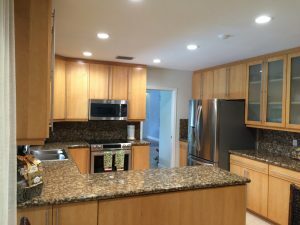 From pricing and installation to clean up and ongoing product performance, we truly care about every stage of the process and making our clients happy with home improvement, including kitchen remodeling in West Palm Beach. We got our start 20 years ago and ever since, we have been building trust with our local clients. In fact, a vast majority of our new clients are referred to us by prior clients, as we don’t do any external advertising. From kitchen to bathroom remodeling in West Palm Beach, you know you’re getting quality products and services with Marcela Montoya Remodeling. Our talented team is dedicated to ensuring you’re a valued part of every step of the process when it comes to home improvement in West Palm Beach. Located less than 70 miles from downtown Miami, West Palm Beach is the county seat of Palm Beach County, one of three main cities in South Florida, with a population of 104,000. That number is ever-growing due to the many people who decide to make their homes here in our beautiful community. From the very first phone call to the finished product, our focus is always on creating the ultimate customer experience. We are a minority-owned, woman-owned business built from the ground up. Trust us to handle your interior design or home remodel project today. When in need of high-end specialty bathroom remodeling in West Palm Beach, contact the experts at Marcela Montoya Remodeling at 954.900.9992.